It goes without saying that an Italian inspired wedding must focus on three things: a beautiful country setting, food, and wine! 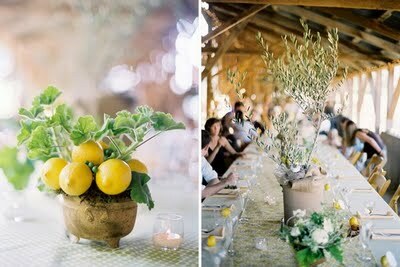 Nothing screams “Italian” more than olive oil, but the olive tree itself is also a beautiful element to the décor. 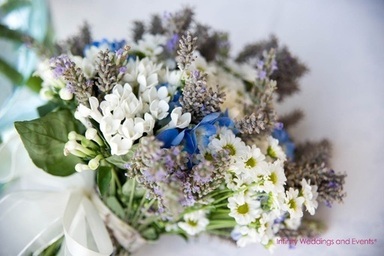 The beautiful silvery leaves of an olive tree are great additions to table arrangements and sprigs can be used in bouquets for an added “Italian” touch. Olive trees are also used for their wood, as seen in many Italian stores selling dinnerware, so incorporating wooden bowls or vases gives an authentic feel to the dinner. 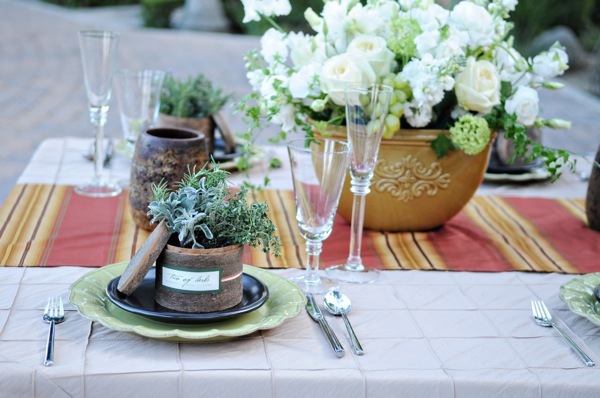 We love this table decor with Italian stemware and herb garden favor at each place setting. 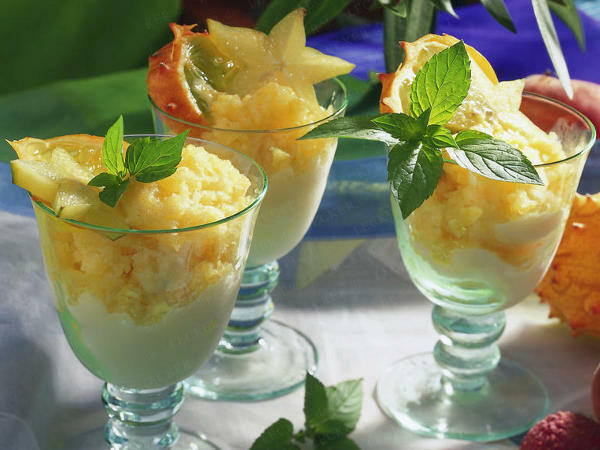 Southern Italy is known for its lemons, which are great décor accents. 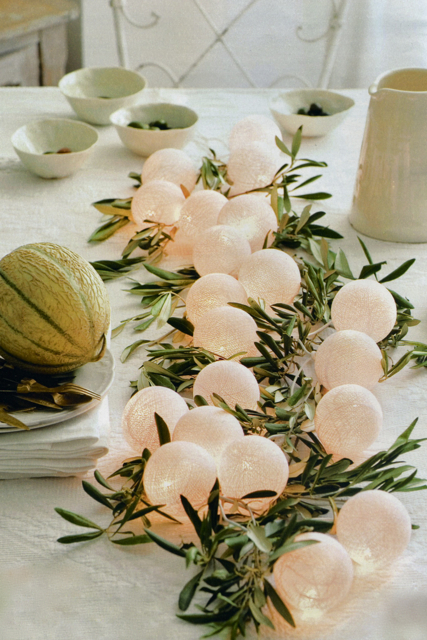 Use them sliced in vases, or even use potted lemon trees as decorations. 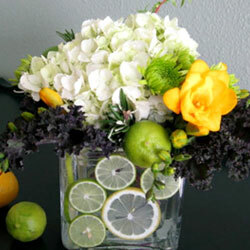 Lemons also make great place card holders! 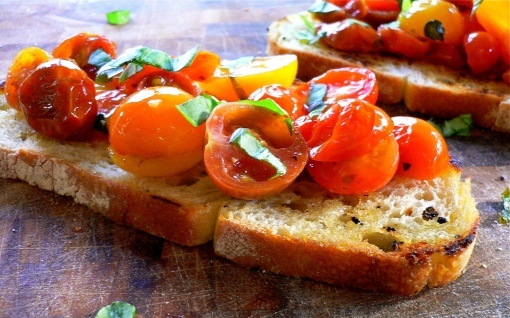 For a perfect Italian-inspired menu, we suggest simple family-style, rustic dishes with local ingredients. Coursing a reception meal can be a bit formal, but keeping the dishes family style will also keep the meal a bit more casual. 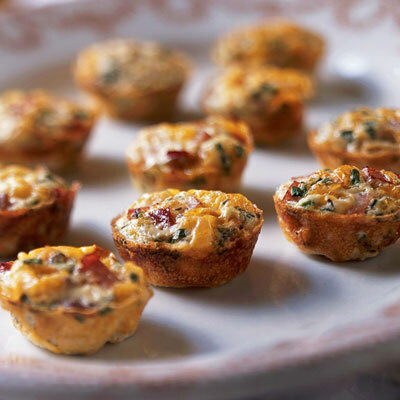 Talk with your cater for some Italian-inspired dishes: appetizers of crusty bruschetta with tomatoes confit, truffle butter crostinis (a staple in Central Italy), bite-sized frittatas and prosciutto-wrapped asparagus and cantaloupe… the options abound! Keep the salad simple: Central and Northern Italy are known for pine nuts, sheep’s milk pecorino cheese and aged balsamic vinegars, why not have a simple butter lettuce salad featuring these three beautiful ingredients? One of the best things about Italian wines is the affordability. 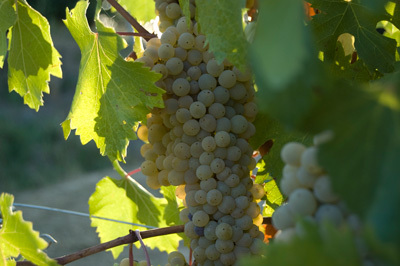 For a white wine, skip the ubiquitous Pinot Grigio and opt for a light Frascati, Grechetto, or Orvieto: all are reasonably priced white wines that are light and have a lot of citrus and good acidity! For reds, keep in mind that many wine producing regions make two types of red wine: one that is meant to be aged (and is much more expensive) and one that is meant to be drunk now (obviously, the more inexpensive of the two!). 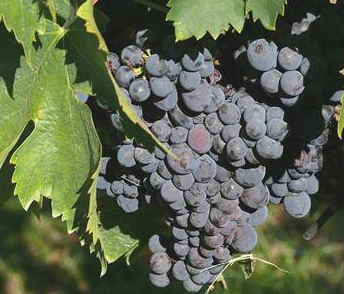 An example of this is in Montepulciano: the Vino Nobile di Montepulciano is a wine that must be aged for at least two years. It is a beautiful, rich wine… and a bit pricey! 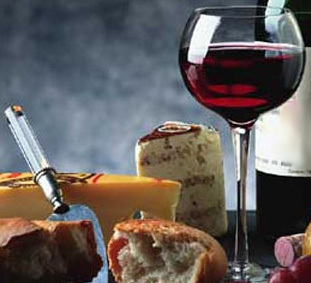 Opt for the Rosso di Montepulciano: this is the lighter red wine from the same region. It is only aged for roughly six months, is lighter in body, has bright fruit, and is a perfect accompaniment to many tomato-based dishes and chicken. Ask your caterer for these young Italian wine options: this is a concept that is practiced throughout Italy, so you should be able to find some steals! Make sure to toast with Prosecco, the Italian champagne (and much more affordable option). 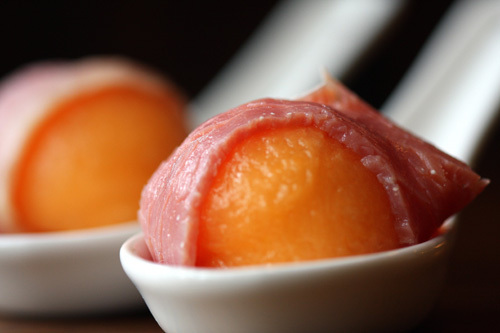 Its bright bubbles are great with desserts, although we also love it poured over a scoop of lemon sorbet for a lovely treat! 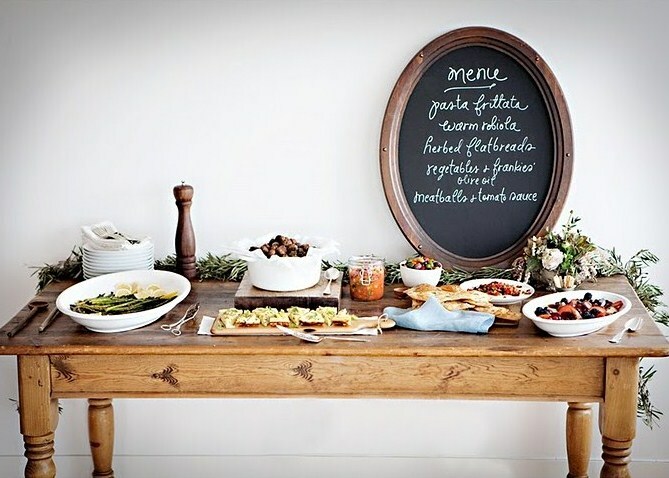 Tags: Italian event, Italian food, Italian wedding, Italy, Rustic, wine. Fantastic web site. Lots of useful info here. I’m sending it to a few pals ans also sharing in delicious. And certainly, thank you to your sweat!